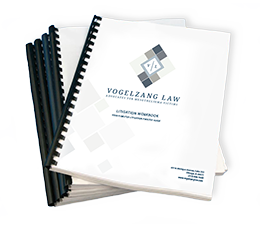 Vogelzang Law is dedicated to furthering mesothelioma research through annual contributions to select institutions, foundations, interest groups, and charities. We are very proud of our involvement and welcome any questions you may have about utilizing or supporting these resources yourself! The University of Chicago is one of the front-runners in mesothelioma research and clinical trials in the United States and draws patients from around the globe. This is due in large part to the incredible work of Dr. Hedy Kindler. Dr. Kindler has used her personal commitment to fighting the disease to lead the mesothelioma program for many years and has made great strides in increasing life expectancy for victims of mesothelioma. The Vogelzang family has been committed to supporting the University of Chicago’s mesothelioma program since 2004. Donations have assisted in purchasing new equipment, funding clinical trials and providing funding for hospital staff. The International Mesothelioma Interest Group, IMIG, previously under the strong leadership of Dr. Kindler, gathers the world’s leading physicians and scientists in mesothelioma research together every two years. This mighty brain trust shares resources, ideas and individual progress to push global progress toward ending the disease. Vogelzang Law has supported this cause since 2006. Our team attends and supports in order to stay informed about any cutting-edge science and medicine being developed to combat mesothelioma. The American Lung Association is one of the nation’s leading organizations fighting for clean air and lung health. Through research, education, and patient advocacy outreach, the ALA aims to combat lung cancer and air pollution, increase awareness and health, and lessen the burdens lung disease places on individuals and their families. Fundraising efforts by the American Lung Association have supported the research and discovery of innovative treatments for lung disease. Vogelzang Law supports the ALA and their commitment to a future free of lung disease, and we are excited about future opportunities to work together. On March 11, 2018, Vogelzang Law will participate in the American Lung Association’s Fight For Air Climb in downtown Chicago. In 2000, a coalition of patients, families, doctors (including Dr. Nicholas Vogelzang) and other advocates came together to create an independent source of funding for mesothelioma research. To date, it is the only nonprofit charity organization dedicated to ending mesothelioma. In addition to providing money for grants to fight mesothelioma, it has also grown to be an excellent resource for patients and their families and is a place where patients and loved ones can share stories and information in fighting cancer. Annually, members of the Vogelzang Law team attend the International Symposium On Malignant Mesothelioma where they also have an opportunity to meet with the nation’s top doctors on mesothelioma and attend workshops. Vogelzang Law has supported MARF and their work for many years, both through attending conferences and providing financial support. On September 22nd, 2018, Vogelzang Law is hosting the first annual Race For Justice, benefitting MARF. We are hopeful MARF will continue to grow, enabling it to fill the inequitable funding deficit for mesothelioma research. Please feel free to ask a member of the Vogelzang Law team about their experience at the Symposium or getting involved with the Race for Justice.